Sodium Bicarbonate (Baking Soda), Citric Acid, Theobroma Cacao (Cocoa) Seed Butter, Magnesium Sulfate (Epsom Salt), Aqua (Water), Parfum, Helianthus Annuus (Sunflower) Seed Oil, Kaolin, Isopropyl alcohol, Oxide. 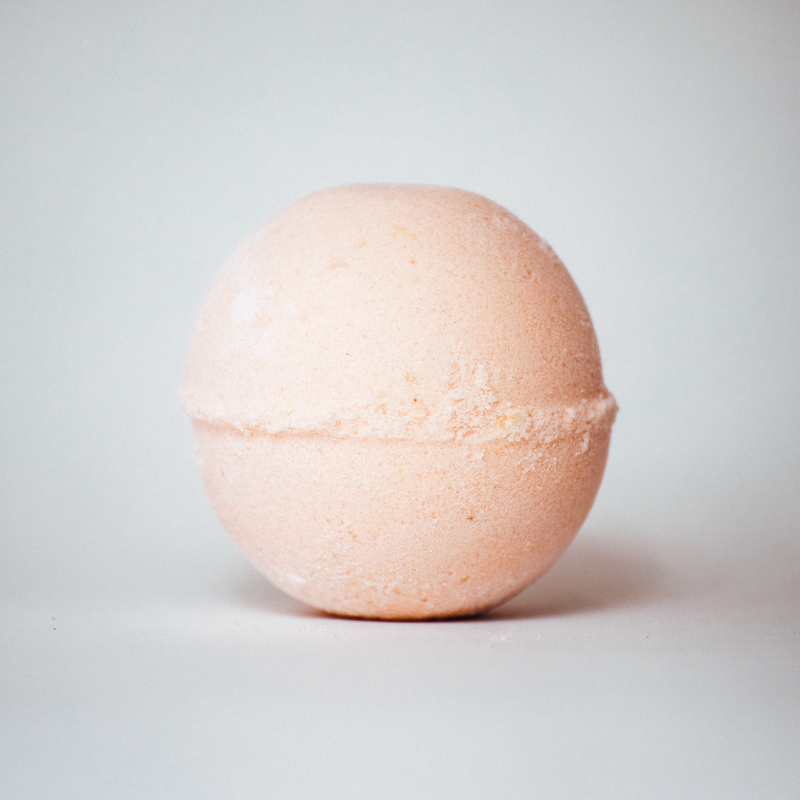 Enjoy a super moisturizing soak with our mango papaya bath bomb. Relax with the tropical fruit scent of mango and papaya while you settle into a warm bathtub for a soothing soak. 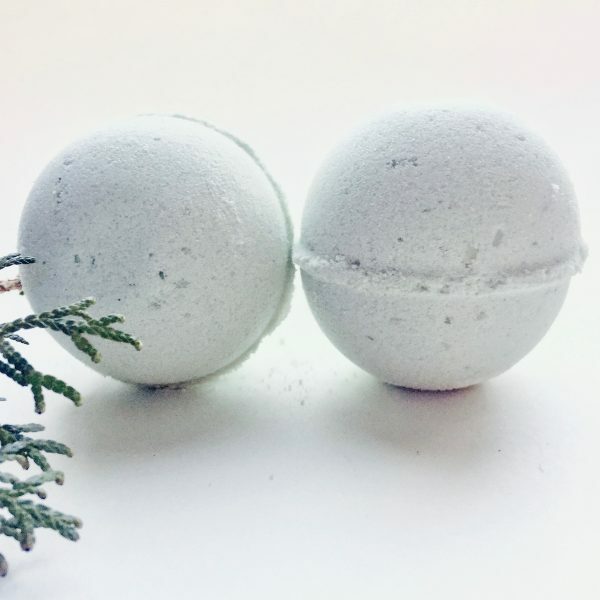 Drop your bath bomb into a bathtub filled with warm water and experience the soothing effects of a soak in baking soda, epsom salts and moisturizing butters and oils. Weight: 142 gr. / 5 oz. 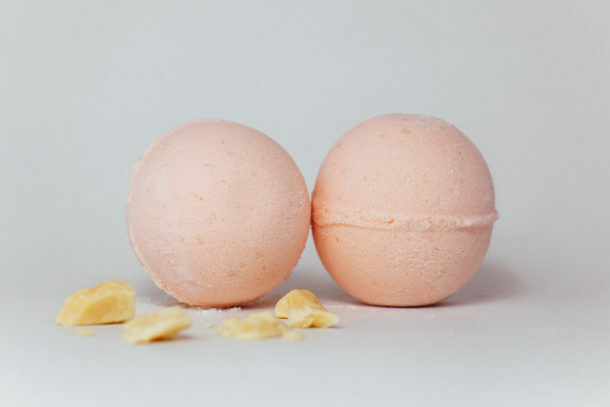 Scented with phthalate-free mango papaya fragrance. No dyes or glitter; coloured only with clays and minerals. 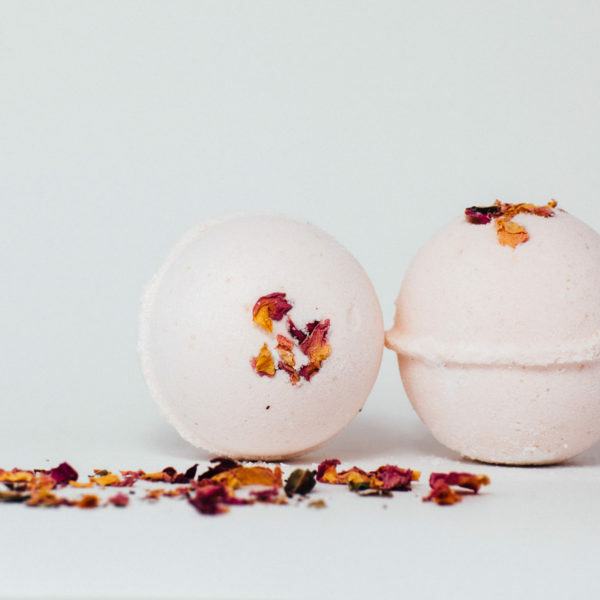 Such a beautiful gift to give to a friend or yourself, leaves the bath fruity and delicious!